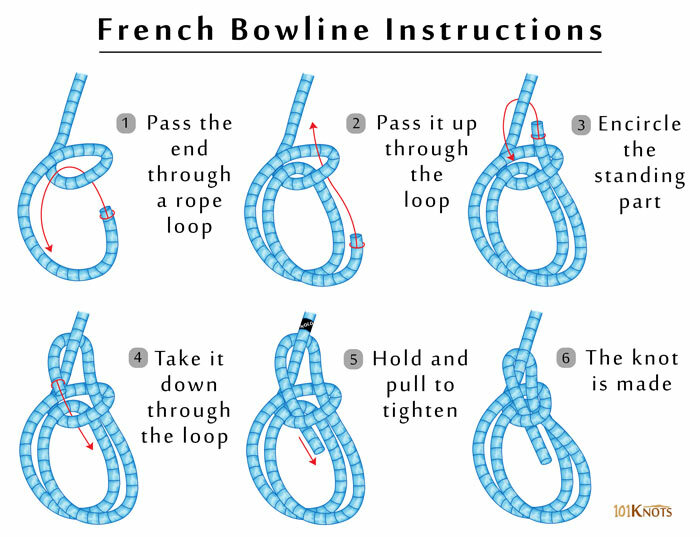 The French bowline, also known as the Portuguese bowline, makes two adjustable loops (unlike the Spanish bowline) that can be used as a temporary Bosun’s chair to hoist or lower an injured person even if he is unconscious. One loop goes around the person’s chest under his arms and the other one serves as the seat. His weight keeps the knot tight and prevents it from slipping. 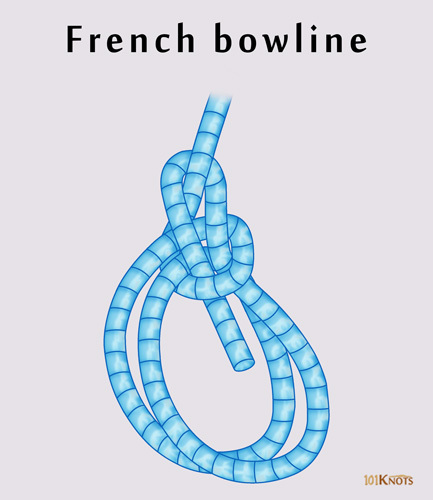 It is a type of the classic bowline knot that distributes pressure over a wider area than the parent knot. This reduces the chances of damage to the secured object. You can dress the knot by adjusting the size of the loops. For rigging and other backstage work by stage hands. Making arm or wrist shackles.